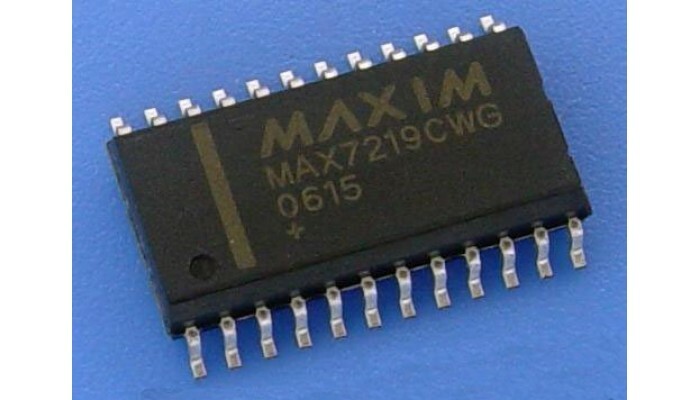 MAX7219/MAX7221 also allow the user to select code-B decoding or no-decode for each digit. 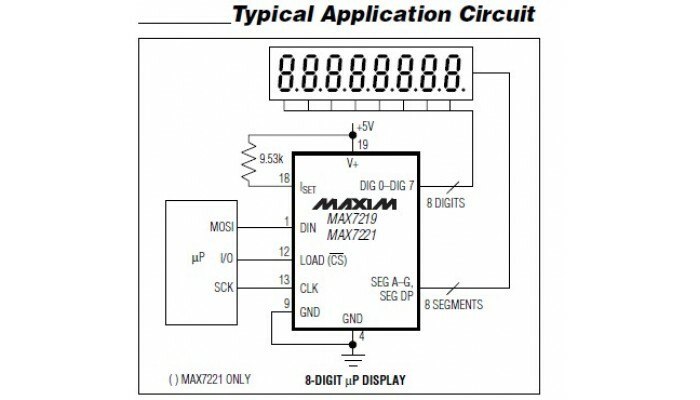 limit register that allows the user to display from 1 to 8 digits, and a test mode that forces all LEDs on. 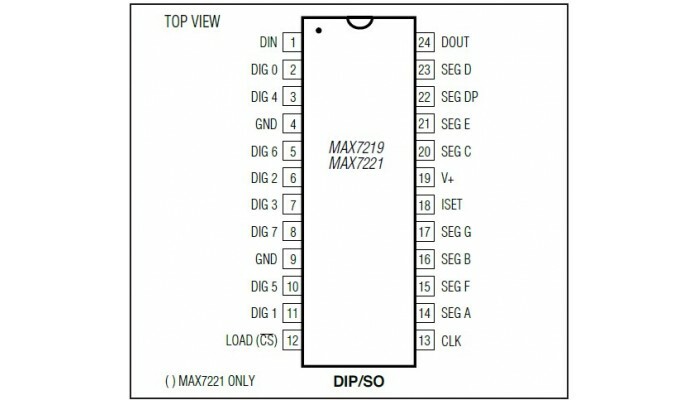 For applications requiring 3V operation or segment blinking, refer to the MAX6951 data sheet.